Set to publish on Wednesday, a Justice Department investigation reported Ferguson police were racially biased and repeatedly violated the rights of the city’s black residents, in a culture of racial discrimination steeped so deep that it extended to a racist comment about President Barack Obama. [W]hat black man holds a steady job for four years. An African-American woman in New Orleans was admitted into the hospital for a pregnancy termination. Two weeks later she received check for $5,000. She phoned the hospital to ask who it was from. The hospital said, "Crimestoppers." Launched last September after a white police officer in the Missouri city fatally shot unarmed teenager Michael Brown last summer, the probe found that Ferguson police had a penchant for stopping black civilians even though they lacked reasonable suspicion of a crime, and tended to engage in excessive force when dealing with a black person. The report also implicated Ferguson courts of racial bias, finding that municipal judges were almost 70% less likely to dismiss charges against blacks than people of other races, reported The Wall Street Journal. 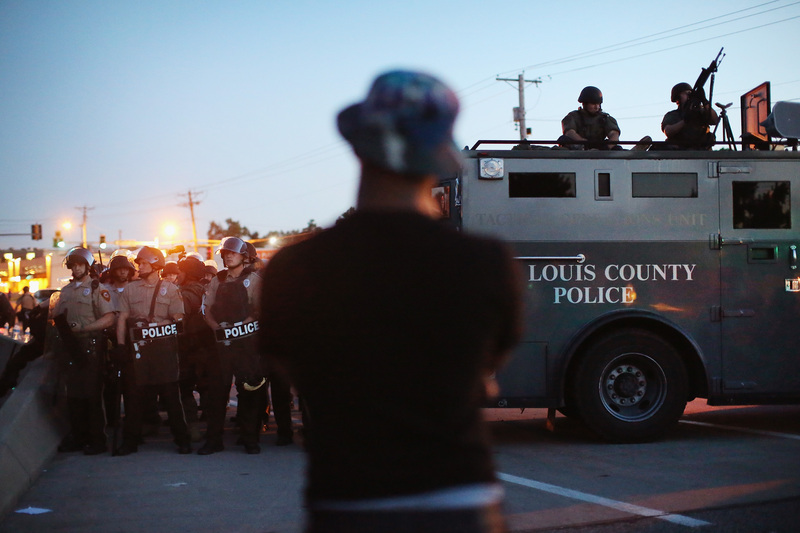 Overall, the findings of the investigation, when released Wednesday, will reveal data showing that blacks were disproportionately targeted by the police and the justice system in Ferguson. Officer Darren Wilson's killing of Brown sparked nationwide protests that further inflamed when a Ferguson grand jury acquitted Wilson of the shooting. The incident reignited debates on several fronts, challenging the institutional racism, police brutality and a broken criminal justice system so prevalent in a country being served by its first ever black president. Wednesday's report will direct evidence of racial bias among police officers and court workers, as well as detail a criminal justice system that places more importance on generating revenue than public safety. Over the course of Attorney General Eric Holder's tenure, the Justice Department has carried out an estimated 20 civil rights investigations of police departments, reported the Associated Press — including Newark, New Jersey and Albuquerque. In December, hot on the heels of the shooting of 12-year-old Tamir Rice by a Cleveland cop, Holder announced that an investigation into the Cleveland police department found that it used excessive and deadly force against citizens in violation of their Constitutional rights.